In the first part of this series Top 8 diversified equity mutual funds to invest in 2017, we discussed how we have selected the top funds as given in the list below. We also discussed the key benefits of investing in diversified equity mutual funds. 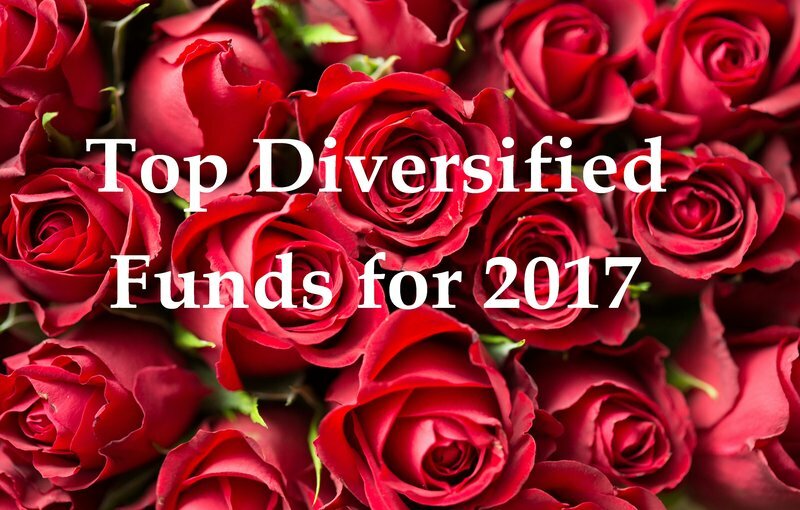 In this post, we will now review each of these 8 selected diversified equity funds. ICICI Prudential Multicap Fund is one of the oldest diversified equity funds from ICICI Prudential Mutual Fund stable. The fund was launched in October 1994 and has over र 1,802 Crores of Assets under Management (AUM). The expense ratio of the fund is 2.36%. George Heber Joseph and Atul Patel manage the fund jointly. ICICI Prudential Multicap Fund has given around 15% compounded annual returns since inception. र 1 Lakh invested in the NFO of this fund would have grown to र 28.47 Lakhs as on today’s value. A SIP of र 5,000 per month in the last 10 years would have grown to र 11.96 Lakhs against your investment of र 6 Lakhs. The chart below shows the 3 year rolling returns of ICICI Prudential Multicap Fund over the last 5 years. As you can see in the chart above, the fund has not only beaten the benchmark returns consistently, but the 3 year rolling returns have consistently been remarkable. The fund has given more than 20% 3 year rolling returns over the last 5 years, nearly 80% of the times, and more than 25% 3 year rolling return 40% of the times. SBI Magnum Multicap Fund is one the youngest fund in this review. Launched in September 2005 by SBI mutual Fund, this is a diversified equity fund which is tilted towards large cap stocks. The fund has given around 12% annualised return since inception and fast catching up with peer group performance and AUM. The fund has र 1,334 Crores of Assets under Management (AUM). The expense ratio of the fund is 2.18% and Richard D’Souza is the fund manager. र 1 Lakh invested in the NFO of SBI Magnum Multicap Fund would have grown to र 3.42 Lakhs as on today’s value – a return of almost 3.50 times in 11 years! A SIP of र 5,000 per month in the last 10 years would have grown to र 11.18 Lakhs against your investment of र 6 Lakhs. The chart below shows the 3 year rolling returns of SBI Magnum Multicap Fund over the last 5 years. As you can see in the chart above, the fund has not only beaten the benchmark returns consistently, but the 3 year rolling returns have consistently been excellent. The fund has given more than 20% 3 year rolling returns over the last 5 years, nearly 95% of the times, and more than 25% 3 year rolling return 60% of the times. Mirae Asset India Opportunities Fund is a very popular diversified equity fund from Mirae Asset Mutual Fund. The fund, youngest in our review, was launched in April 2008 and has been a big wealth creator for investors since then. The fund has mobilised around र 2,467 Crores of Assets under Management (AUM) in a short period of 8 years. The expense ratio of the fund is 2.34%. Neelesh Surana, one of the veteran fund managers manages this fund. Mr. Surana focuses on opportunities arising out of India’s economic growth and its structural shift. The chart below shows the 3 year rolling returns of Mirae Asset India Opportunities Fund over the last 5 years. As you can see in the chart above, the fund has not only beaten the benchmark returns consistently, but the 3 year rolling returns have consistently been exceedingly well. The fund has given more than 20% 3 year rolling returns over the last 5 years, nearly 95% of the times, and more than 25% 3 year rolling return 60% of the times. Birla Sun Life Advantage Fund is a very popular diversified equity fund from Birla Sun Life Mutual Fund stable. The fund was launched in February 1995 and has been a big wealth creator for investors since then. The fund has र 1,916 Crores of Assets under Management (AUM). The expense ratio of the fund is 2.25% and it is managed by Satyabrata Mohanty, a veteran fund manager. Birla Sun Life Advantage Fund has given around 18% compounded annual returns since inception. र 1 Lakh invested in this fund, 15 years back, would have grown to र 13.31 Lakhs as on today’s value – More than 13 times return in 15 years. A SIP of र 5,000 per month in the last 10 years would have grown to र 11.73 Lakhs against your investment of र 6 Lakhs. The chart below shows the 3 year rolling returns of Birla Sun Life Advantage Fund over the last 5 years. As you can see in the chart above, the fund has not only beaten the benchmark returns consistently, but the 3 year rolling returns have consistently been remarkable. The fund has given more than 20% 3 year rolling returns over the last 5 years, nearly 100% of the times, and more than 25% 3 year rolling return 75% of the times. Birla Sun Life Equity Fund is a popular diversified equity fund from Birla Sun Life Mutual Fund. The fund was launched in August 1998 and has been a big wealth creator for investors. The fund has over र 3,451 Crores of Assets under Management (AUM). The expense ratio of the fund is 2.17%. Anil Shah is the fund manager of this scheme. Birla Sun Life Equity Fund has given more than 24% compounded annual returns since inception. र 1 Lakh invested in the NFO of this fund would have grown to र 52.90 Lakhs as on today’s value – a whopping 53 times return in 18 years. A SIP of र 5,000 per month in the last 10 years would have grown to र 12.30 Lakhs against your investment of र 6 Lakhs. The chart below shows the 3 year rolling returns of Birla Sun Life Equity Fund over the last 5 years. As you can see in the chart above, the fund has not only beaten the benchmark returns consistently, but the 3 year rolling returns have consistently been remarkable. The fund has given more than 20% 3 year rolling returns over the last 5 years, nearly 90% of the times, and more than 25% 3 year rolling return 60% of the times. DSP BlackRock Opportunities Fund is a popular diversified equity fund from DSP BlackRock Mutual Fund stable. The fund was launched in May 2000 and has been a big wealth creator for investors in the last 15-16 years. The fund has over र 1,302 Crores of Assets under Management (AUM). The expense ratio of the fund is 2.66% and Rohit Singhania is the fund manager of this scheme. DSP BlackRock Opportunities Fund has given more than 18% compounded annual returns since inception. र 1 Lakh invested in the NFO of this fund would have grown to around र 16.00 Lakhs as on today’s value – Almost 16 times return in the last 16 and half years. A SIP of र 5,000 per month in the last 10 years would have grown to र 11.82 Lakhs against your investment of र 6 Lakhs, giving little over 13% XIRR returns. The chart below shows the 3 year rolling returns of DSP BlackRock Opportunities Fund over the last 5 years. Kotak Select Focus Fund is a very popular and top performing diversified equity fund from Kotak Mutual Fund stable. The fund was launched in September 2009 and has been a big wealth creator since then. The fund has र 6,937 Crores of Assets under Management (AUM) which is second highest amongst the funds selected for this review. The expense ratio of the fund is 2.00% and veteran fund manager Harsha Upadhyaya manages this fund. Kotak Select Focus Fund has given more than 13% compounded annual returns since inception. र 1 Lakh invested in the NFO of this fund would have grown to र 2.44 Lakhs as on today’s value – 2.44 times return in little more than 7 years! A SIP of र 5,000 per month in the last 7 years would have grown to र 7.14 Lakhs against your investment of र 4.20 Lakhs. The SIP return has been XIRR 15.20% in the last 7 years! The chart below shows the 3 year rolling returns of Kotak Select Focus Fund over the last 5 years. As you can see in the chart above, the fund has not only beaten the benchmark returns consistently with a good margin, but the 3 year rolling returns have consistently been remarkable. The fund has given more than 20% 3 year rolling returns over the last 5 years, nearly 90% of the times, and more than 25% 3 year rolling return approx 60% of the times. Franklin India Prima Plus is one of the most popular and top performing diversified equity funds in India from Franklin Templeton Mutual Fund stable. Launched in September 1994, it is the oldest and the biggest fund in terms of Assets under Management (AUM) in our review of the diversified equity mutual funds. The AUM of this fund is र 9,373 Crores and the expense ratio of the fund is 2.27%. Veteran fund managers, Anand Radhakrishnan and R Janakiraman, jointly manage this marquee fund. Franklin India Prima Plus has been a true wealth creator as it has given more than 18.63% compounded annual returns since inception. र 1 Lakh invested in the NFO of this fund would have grown to a whopping र 43.84 Lakhs as on today’s value – 44 times return in little more than 22 years! A SIP of र 5,000 per month in this fund in the last 10 years would have grown to र 12.40 Lakhs against your investment of र 6.00 Lakhs! The SIP return has been XIRR 14.09% in the last 10 years! The chart below shows the 3 year rolling returns of Franklin India Prima Plus over the last 5 years. As you can see in the chart above, the fund has not only beaten the benchmark returns consistently with a good margin, but the 3 year rolling returns have consistently been remarkably good. The fund has given more than 20% 3 year rolling returns over the last 5 years, nearly 95% of the times, and more than 25% 3 year rolling return approx 60% of the times. In this 2 part series, we have explained how we have selected top 8 diversified equity funds based on two filters - CRISIL fund ranking (September 2016 quarter) and our quartile ranking tool. We have also discussed the benefits of investing in diversified equity funds vis-à-vis investing in different category of funds separately. At Advisorkhoj, we always propagate that investors should choose mutual fund based on their investment horizon and risk profile. Therefore, you must consult your financial advisor to check if diversified equity funds are suitable for your risk profile.